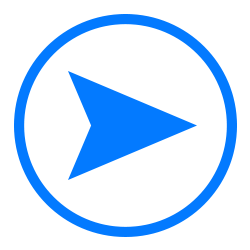 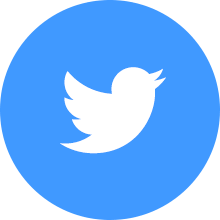 Wysong works hard to develop the most healthy and holistic dog food, dog supplements, and treats. 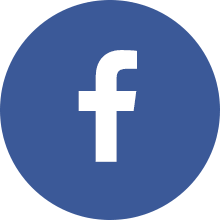 Our continually evolving premium dog food line is for the discriminating dog owner who wants to make sure that their companion animal enjoys the best gourmet dog food developed based on a holistic and healthy approach. 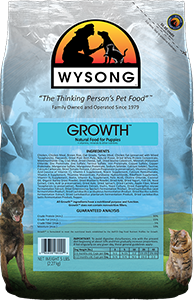 Wysong raw dog food products are manufactured with our proprietary True Non-Thermal™ The non-heat proprietary manufacturing process Wysong uses in producing all raw diets. 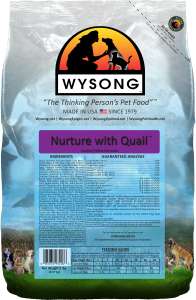 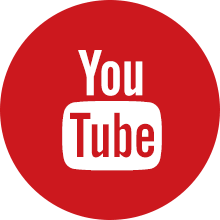 technology, and are the safest, most genetically appropriate raw pet foods on the market. 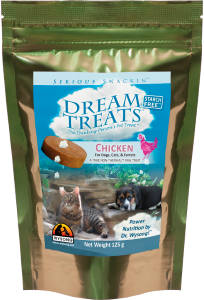 True Non-Thermal™ canine diets and treats are the perfect compliment to our dry and canned diets as part of your dog's varied feeding regimen. 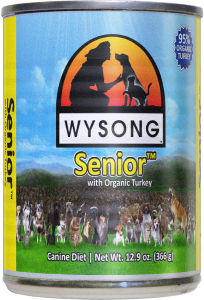 Established nearly 40 years ago, Wysong's dry dog food line has been fed to tens of thousands of dogs through multiple generations with great benefits. 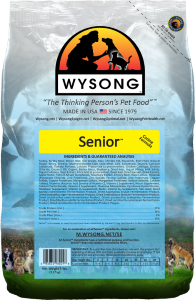 These holistic canine diets, replete with proprietary Wysong nutritional bonuses Probiotic cultures, enzymes, phytonutrients, nutraceuticals, antioxidants, essential fatty acids, and more! 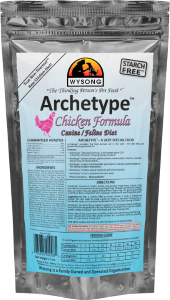 serve as a healthy starting point for your dog's varied diet. 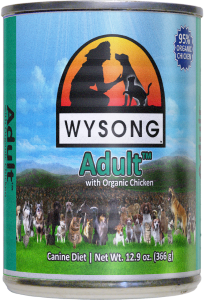 Wysong holistic canned dog foods are comprised of natural and premium ingredients, with 95+% meat in every formula! 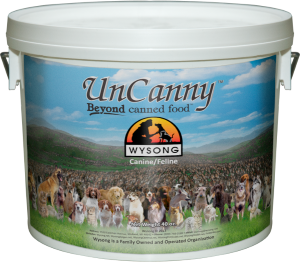 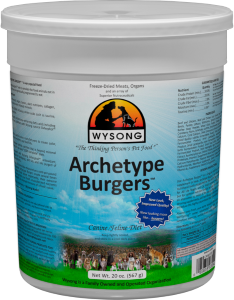 Wysong canned diets are excellent as standalone meals, and are great for supplemental feeding Meaning, to be fed as an adjunct to base diets and as a part of a feeding rotation. 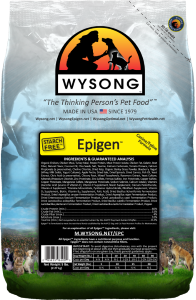 Wysong recommends no one food be fed exclusively. 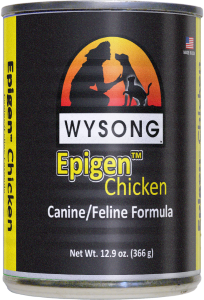 and as a top dress to our dry canine diets as well.